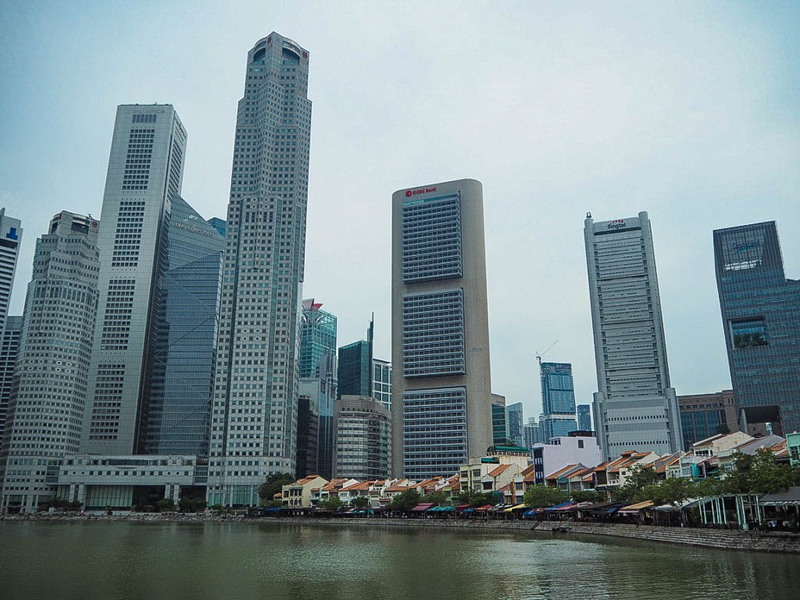 Singapore has a reputation of being a clinical, shiny-new stopover, mainly due to the famous Marina Bay Sands hotel. The infinity pool is legendary but my budget practically reached out of its super-organised Excel spreadsheet to strangle me when I saw how much it would cost to stay there. 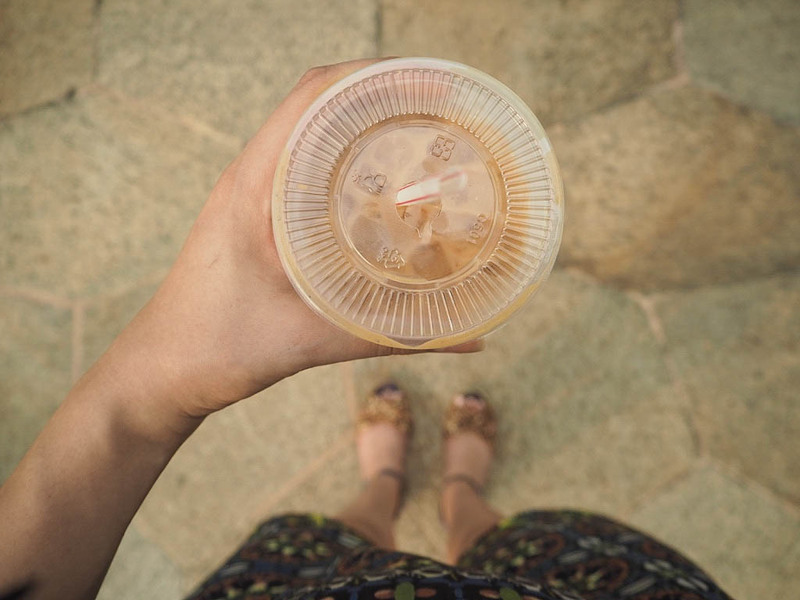 Yes, the hawker food in Singapore is cheap but it’s actually a pretty pricey place to visit, so walking and exploring is the most cost effective way to enjoy yourself. 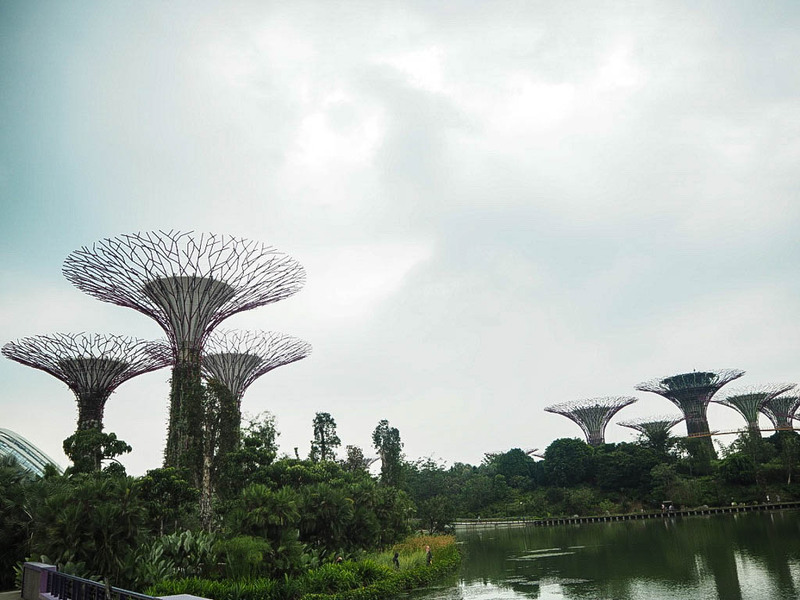 After that hotel, Gardens by the Bay is easily Singapore’s most well-known tourist destination. 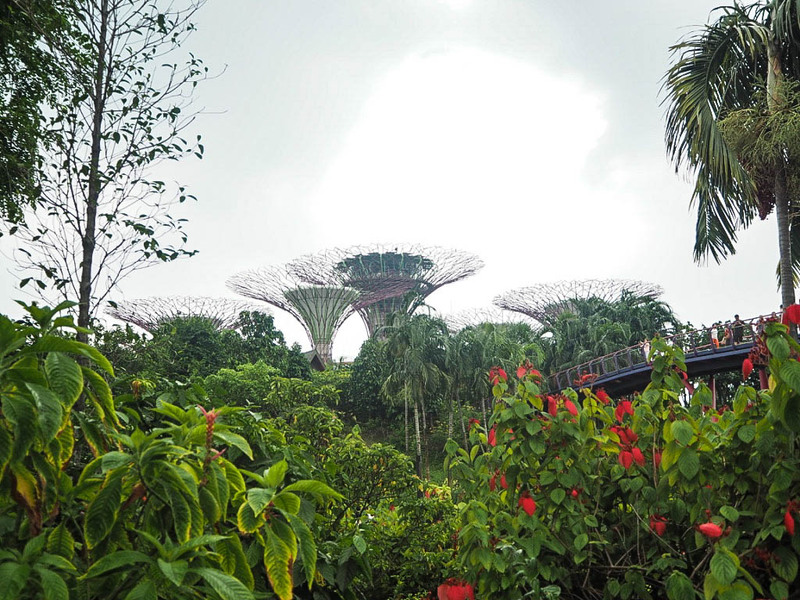 It is absolutely vast and you could easily spend a full day there if you go into the Cloud Forest and Flower Dome, and wander around the famous Supertrees. 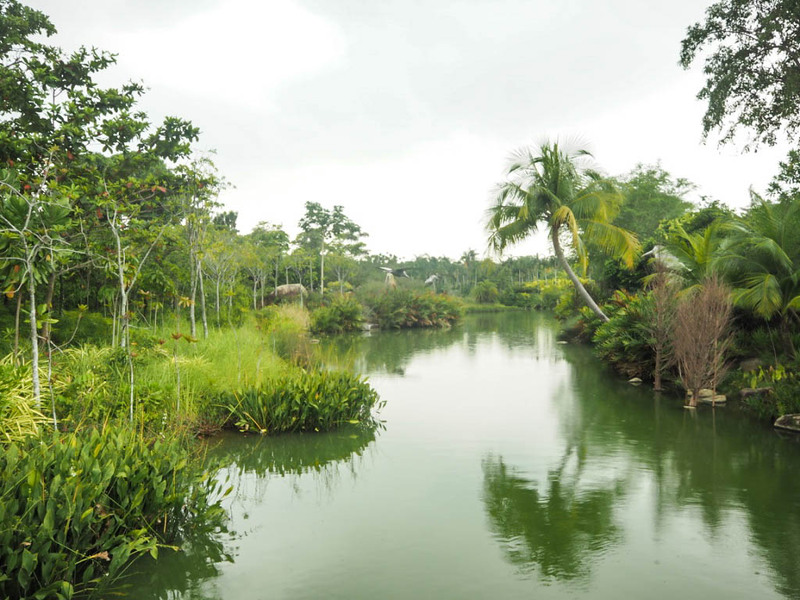 It is free to get into the gardens themselves though (for which my bank balance was very grateful), so I meandered about, spotting lizards and winding my way along the walkways surrounded by all sorts of exotic vegetation. The Satay by the Bay hawker centre is at the far end of the Gardens too, so you can refuel after getting totally lost. 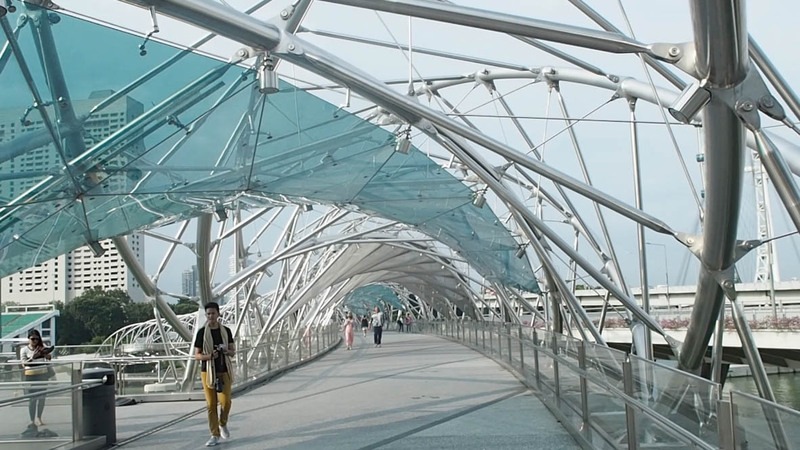 The Helix Bridge takes you from the marina and over to the majority of the big hotels, including the Pan Pacific where I stayed. 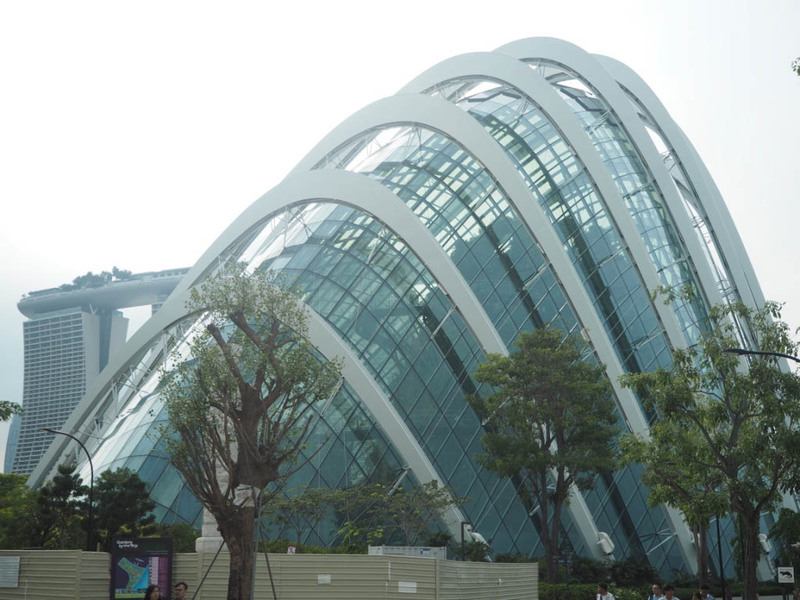 Not only is it a really cool structure, it boasts views of the city from one side, and Gardens by the Bay from the other. I saw people doing break dancing, busking and skateboarding as I walked over, as well as spotting some fashion blogger striking poses for outfit posts! 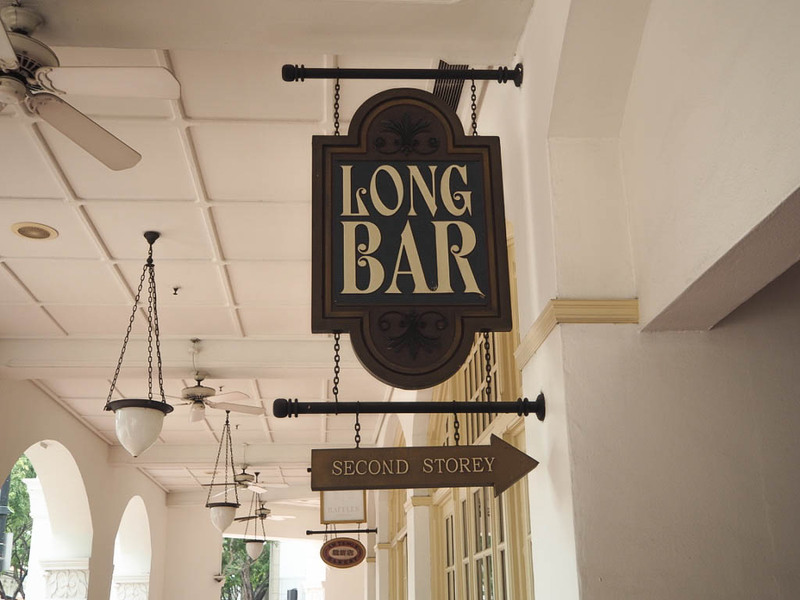 An absolute institution, visitors to Raffles Hotel usually just head straight to the Long Bar to try a Singapore Sling which was invented at that very location. Travel guides and local alike warned me off it because of the steep prices and below-average cocktail, so I just poked my head in to be nosey. 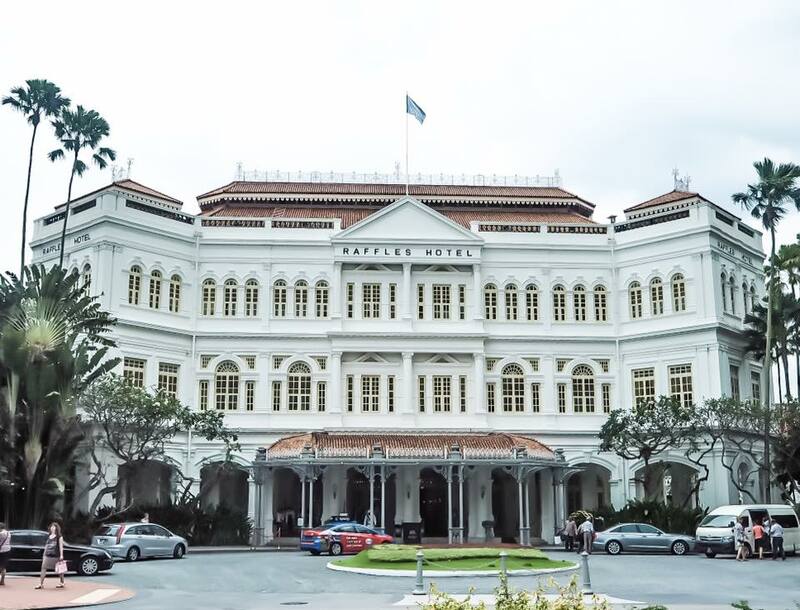 It is a beautiful colonial style building, gleaming white and a real feeling of exclusivity, but the sheer number of excitable American tourists posing for photos outside make me glad to be staying somewhere else! 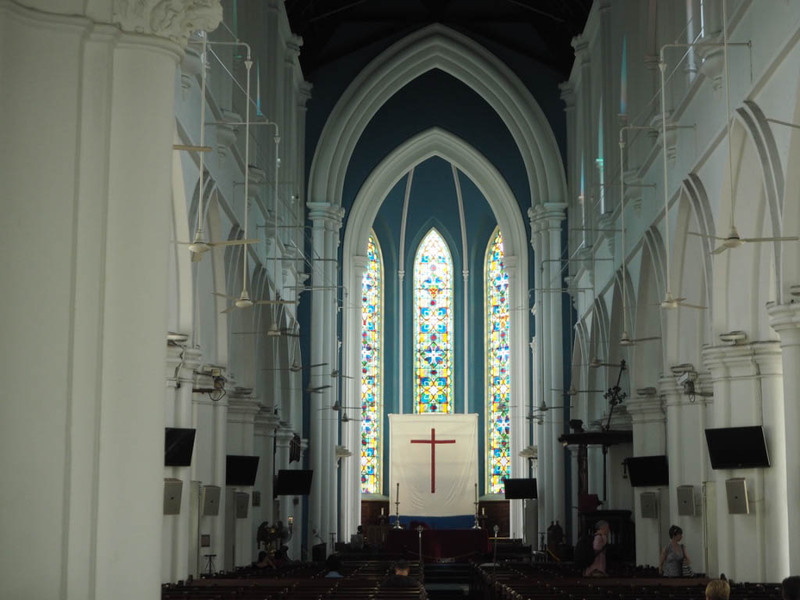 Being in Asia, you get used to seeing temples and shrines on every corner which is why I loved St Andrew’s Cathedral. It almost felt out of place, but within the sparkly confines of the city area it did actually fit in. 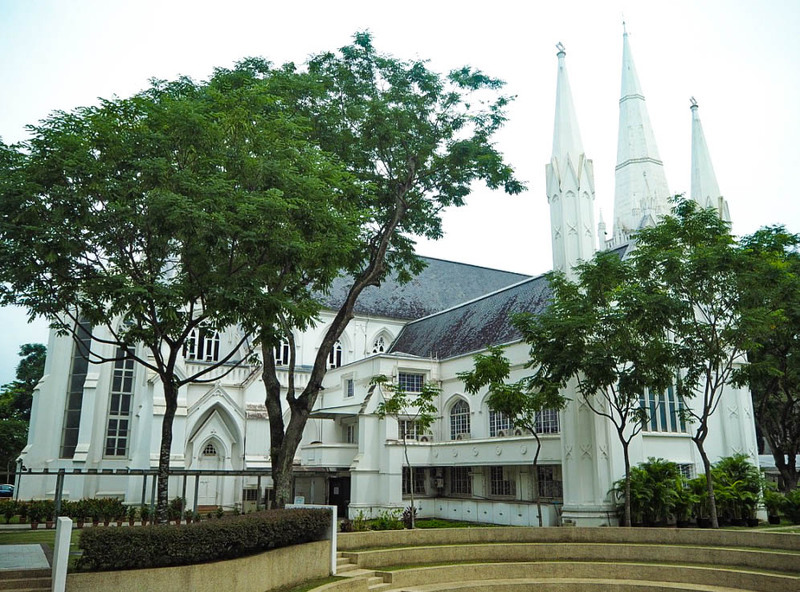 Unlike the cathedrals I’m used to in the UK, this wasn’t made of gloomy greys and browns but shines bright and white. It’s gothic gone wrong but makes it a really beautiful sight. 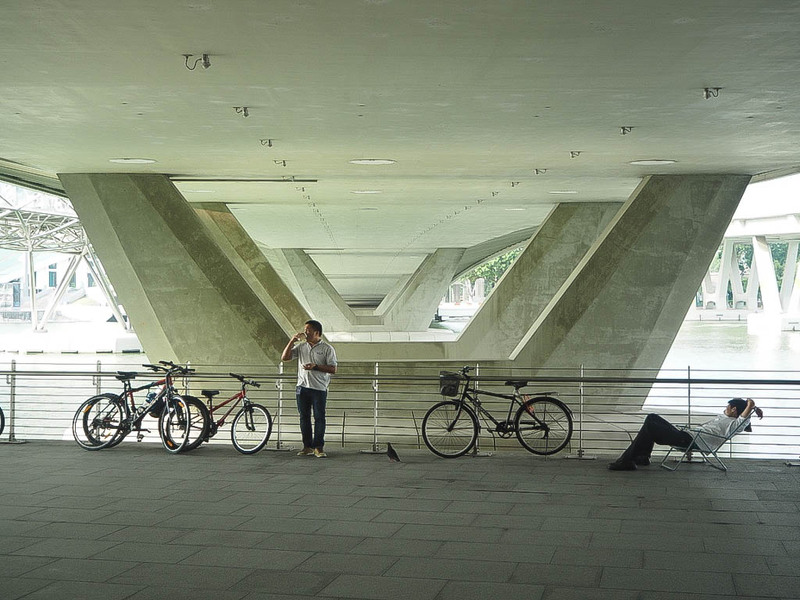 The pathway along Singapore River and down Boat Quay walking is serene on one side and manic on the next. 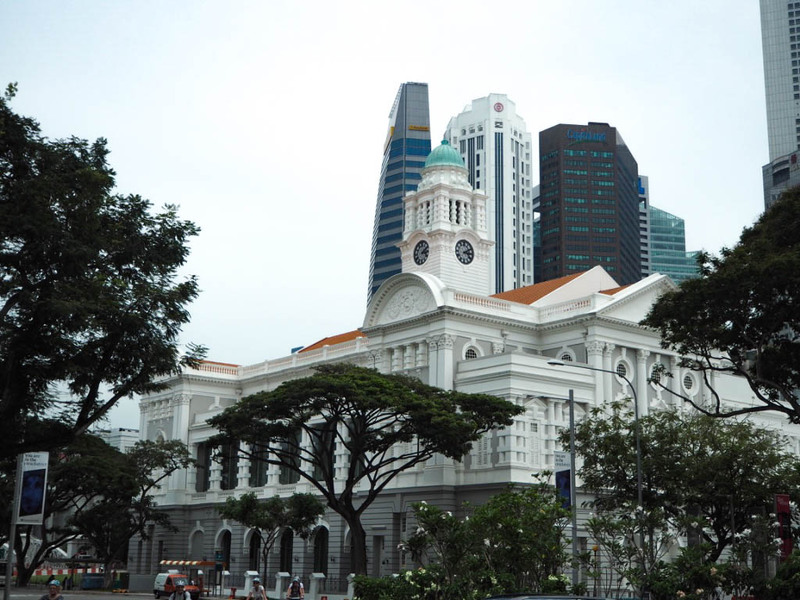 Walking from the cathedral, you pass the National Gallery of Singapore, the Asian Civilisations Museum and the Parliament building. 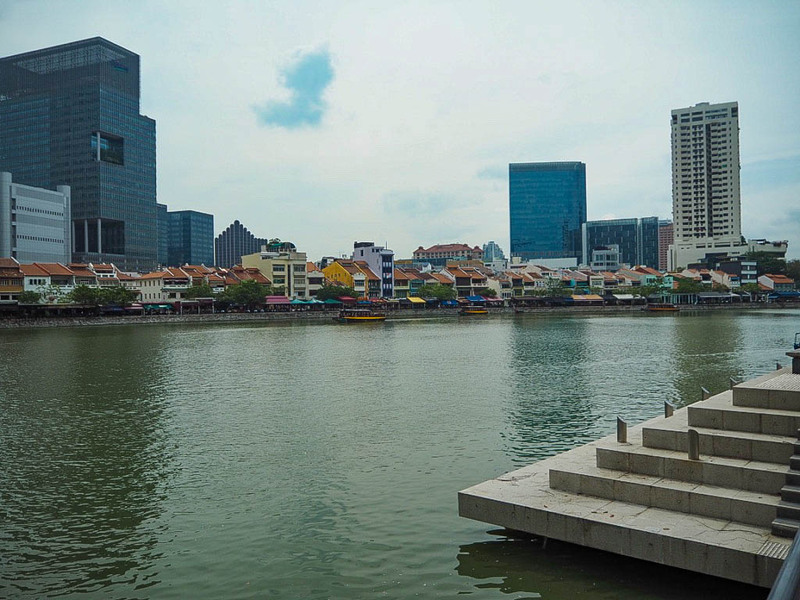 You can then cross over the river and go back on yourself, this time down Boat Quay which is full of little bars and restaurants on the water’s edge. 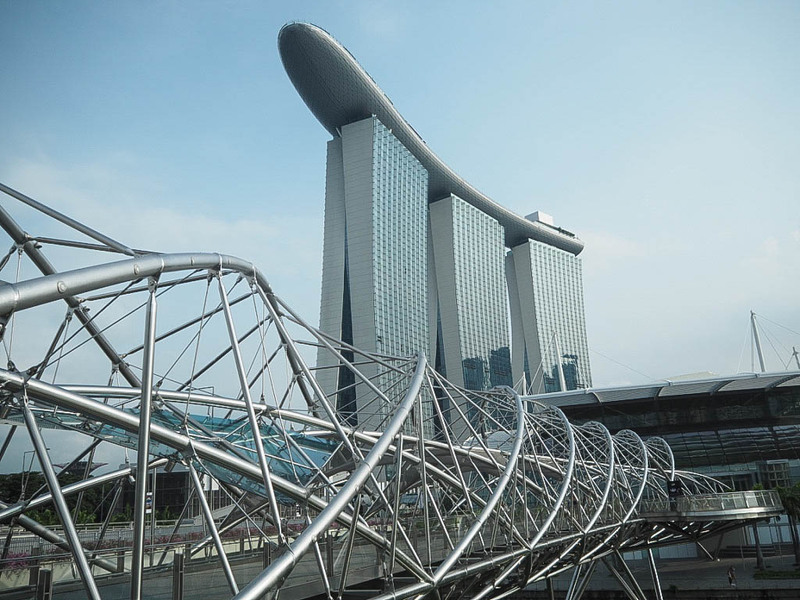 The Merlion is pretty much what it says on the tin: a hybrid mermaid-lion, which stands proud overlooking Marina Bay whilst tourist desperately search for their selfie sticks for a cheeky pic. It’s the emblem of Singapore (the UK has a unicorn so that’s pretty damn cool too), and it spits out a fountain of azure blue water to thrill its visitors. 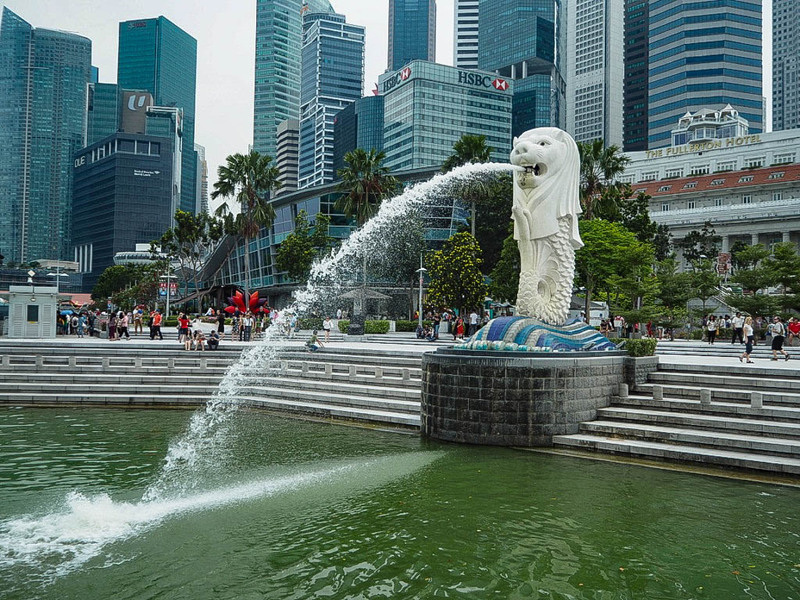 It’s the most famous Merlion in Singapore so definitely worth swinging by for a ‘hello’. 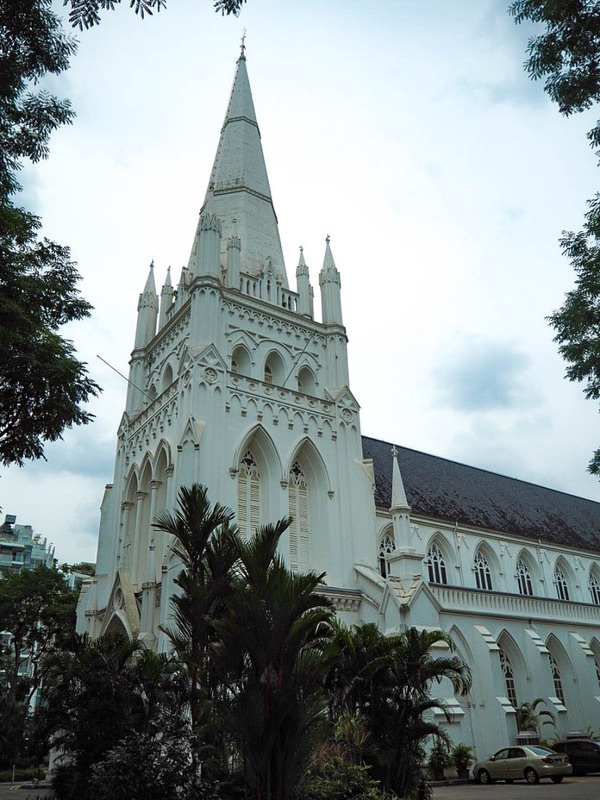 Look out for my round-ups of what to do in Singapore’s Chinatown and Little India, coming soon!